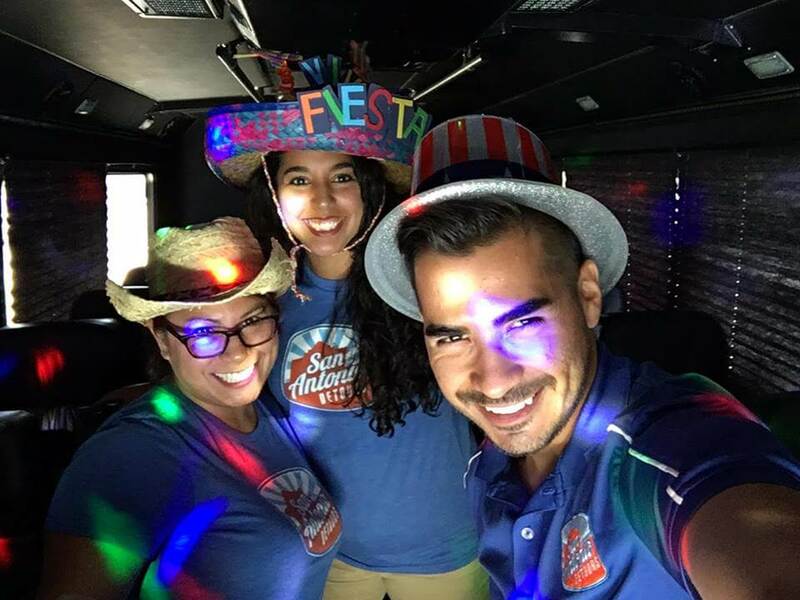 Big Bucks Bus Trivia Add-On [San Antonio Detours] Book your tour! Buckle up for the game of your life! Add more FUN to your event! Your group will hop on to their guided transportation, only to find two mysterious people on the front of the bus in disguise. As the bus starts to move, colored lights go off all around the bus, game show music blasts, and the two mysterious people in the front jump up and reveal themselves as hosts of a mobile game show! Our version of the Cash Cab classic includes more than just questions, with interactive challenges that will have you testing your knowledge of BBQ, music, culture and so much more. Start brushing up on your San Antonio knowledge now, because there are some serious big bucks at stake on San Antonio Detours’ Big Bucks Bus! This is a 25-45 minute add-on, scheduled on a private basis. Add Big Bucks Bus to Your Event! Learn San Antonio trivia in a fun, interactive way!